Once upon a time, when we lived in Saipan and popped over to Seoul a couple times a year for long weekend in the city, Burke and Pi (ok, and also their mama) were super into Crazy Shakes. There was an O Shakes in Seoul near several of our go-to restaurants and we loved trying the wild piles of milkshake-plus-all-the-sugary-toppings. 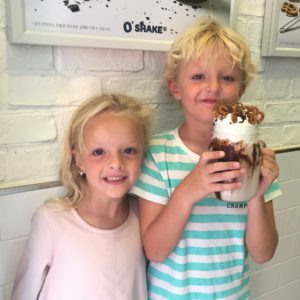 I mean, what mom kid wouldn’t have a Crazy Shakes phase when given the option? 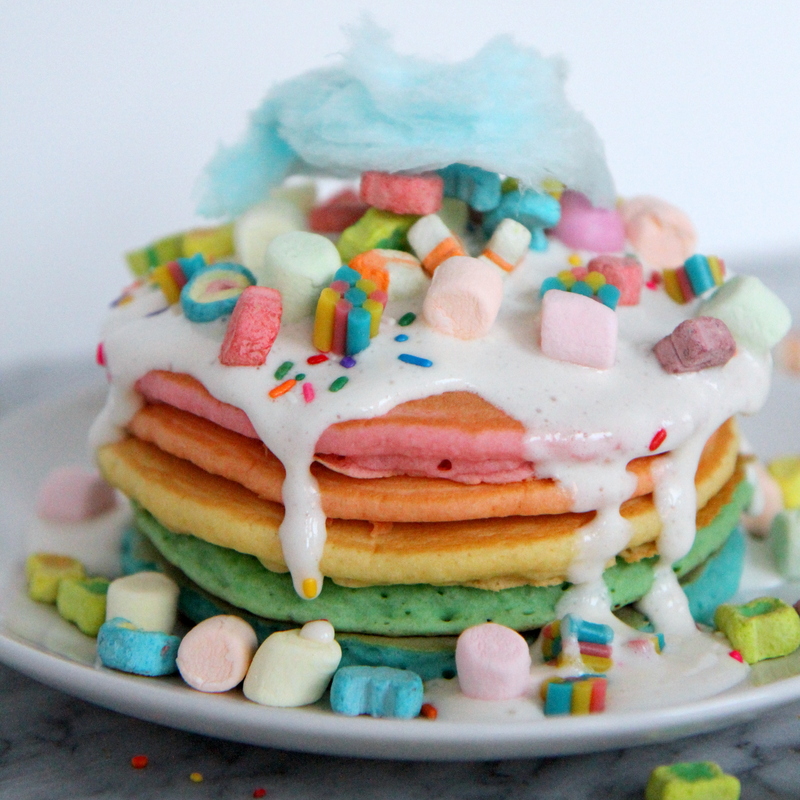 Aka- a stack of rainbow pancakes with a pile of crazy toppings. 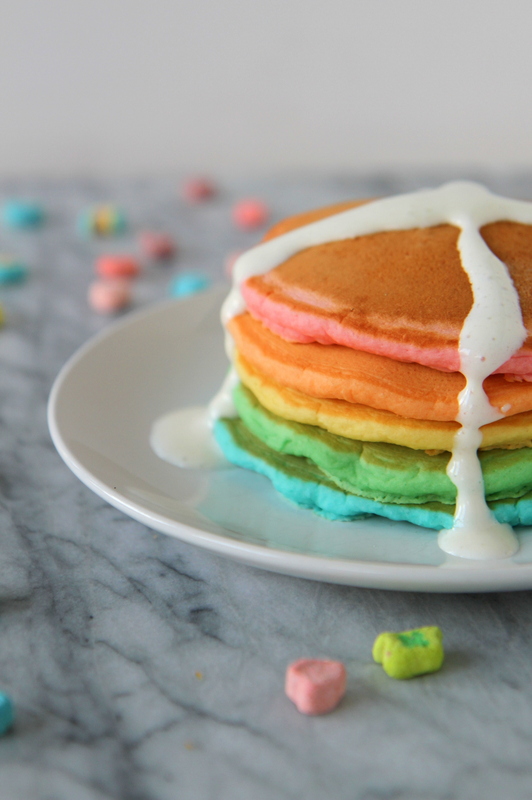 They’re pretty much perfect for any celebration, but also would be fun if you were looking for a rainbow-y St. Patrick’s Day treat. Two notes- there is no “breakfast” about these, they are purely dessert fare- haha! 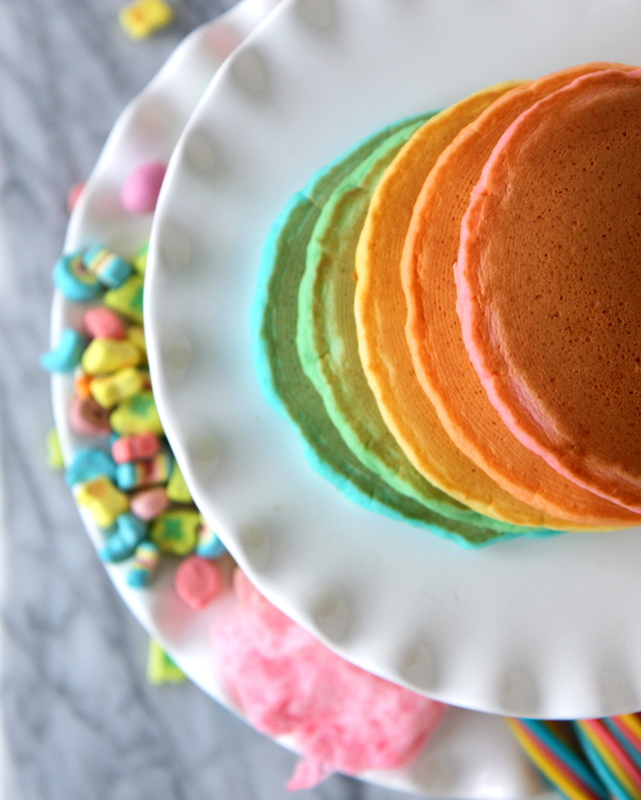 And also, the stacks of alltherainbowcolors are so fun, but neither of my kids could finish a whole stack. 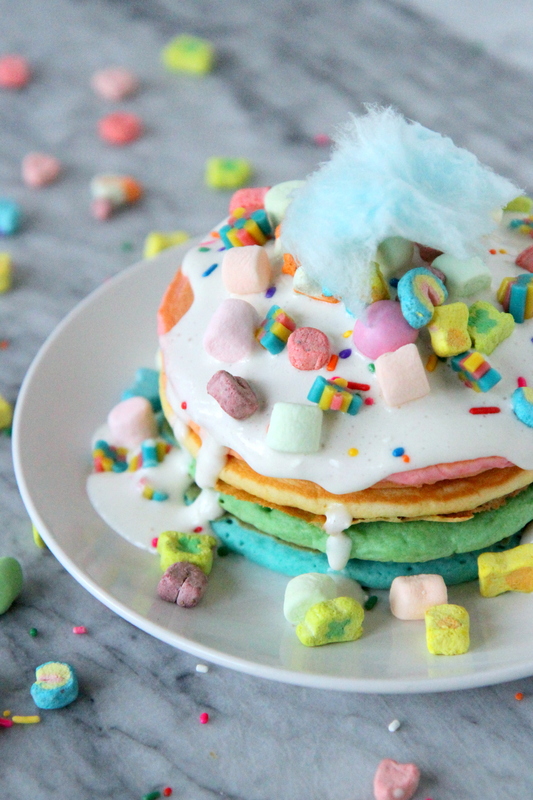 So either make silver dollar pancakes, or plan on sharing. 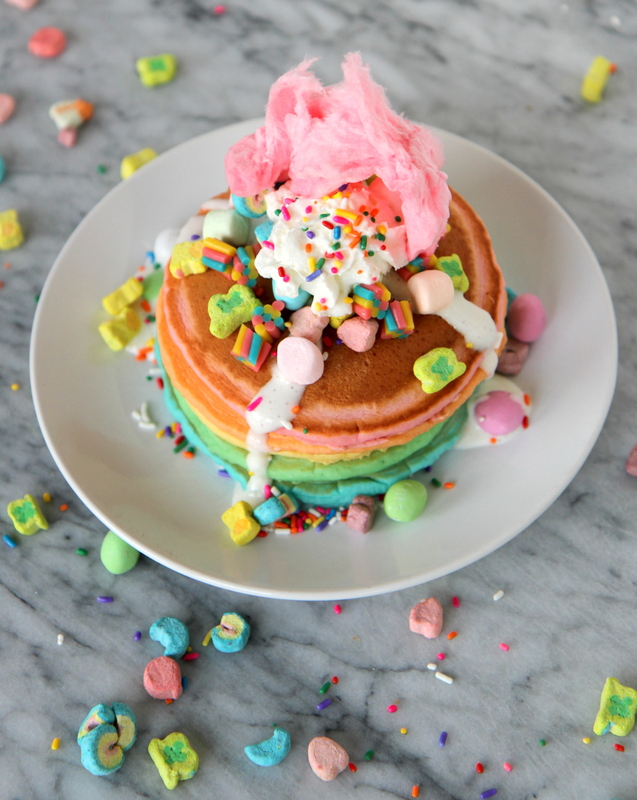 To make these, we made a BIG batch of pancake batter, divided into five bowls, added scant amounts of food coloring (you could also use pureed fruit as your ‘color’ if you don’t want to add food coloring), and then made the rainbow colored stacks of pancakes. 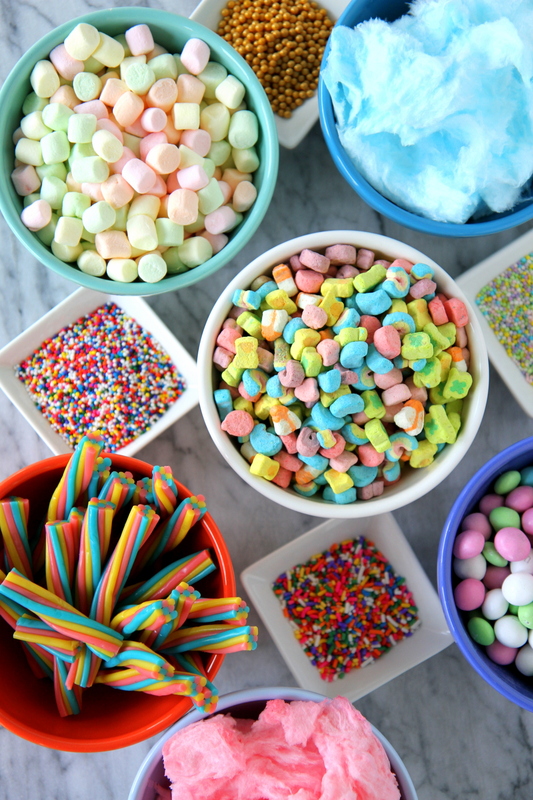 Of course, sky’s the limit on toppings- whatever your little heart desires could go on top of these! 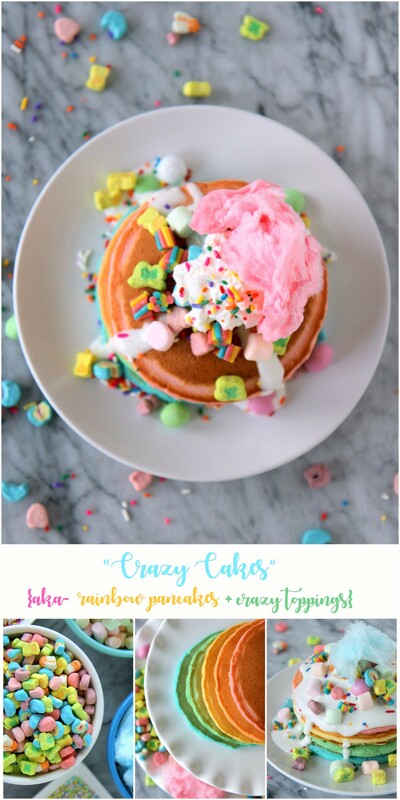 You could even follow a theme like they do for Crazy Shakes (just google ‘crazy shakes’ for inspiration flavors). 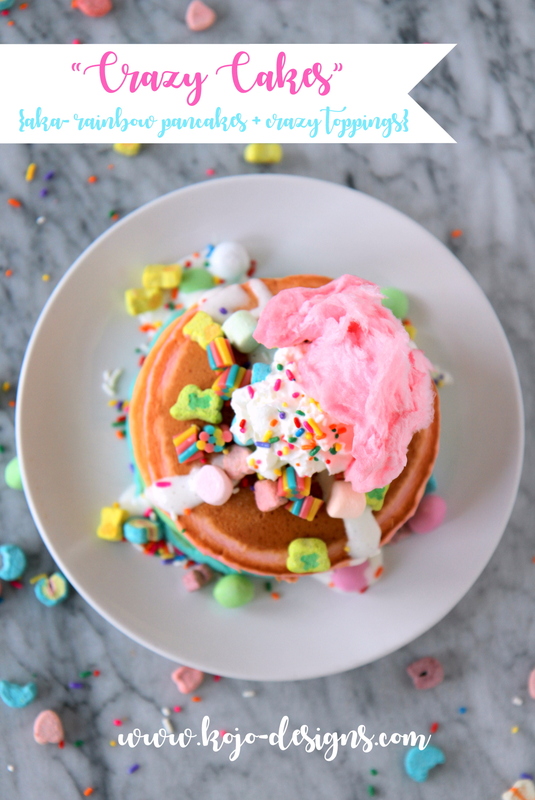 We topped ours with cream cheese syrup (recipe below), whipped cream, sprinkles, cotton candy, twisted twizzlers, fruity marshmallows, pastel M&Ms and Lucky Charms marshmallows. 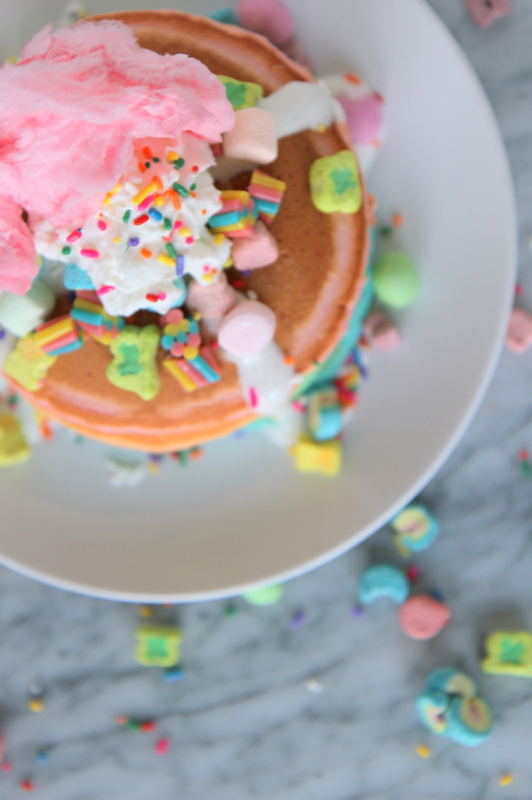 Happy everything (or St Patrick’s Day) celebrating, friends! ps- I dug out a pic of the Smooches with a Crazy Shake in Seoul for y’all. CUTEST, right?